San Francisco, CA (March 7, 2018) – Side Delights® announces potatoes as a favorite in the growing brunch trend as consumers continue to embrace brunch beyond the weekend. 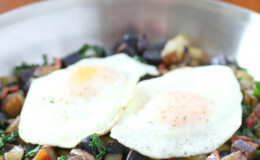 Side Delights are the ideal solution for breakfast hash, or any other brunch menu, providing consumers with traditional and innovative recipes such as the trendy tri-color potato hash with kale and pancetta or the tried and true breakfast hash with bacon and poached eggs. 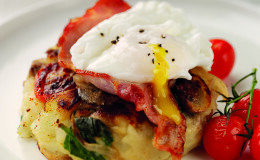 A recent Mintel study shows that pizza is fast becoming a gourmet brunch dish, with 61 percent of consumers citing Breakfast Pizza as a brunch item.4 Hot brunch spots are including potatoes on their breakfast pizza, like Maximiliano in Los Angeles which tops theirs with fingerling potatoes, bacon confit, eggs, fennel sausage, pomodoro and mozzarella. 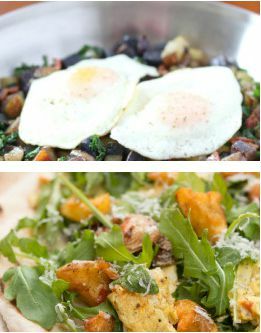 Side Delights has a solution for that trend too, with the creative Grilled Breakfast Pizza with Torn Potato Croutons Arugula, Tomato and Egg.